In connection with the opening of completed Master’s House ensemble, the “Haushaltsmesse 2015” will present positions on household management in the twenty-first century. In the scope of this project the Bauhaus Lab will already start to focus in 2014 on contemporary storage practices, based on the example of selected reservoirs. 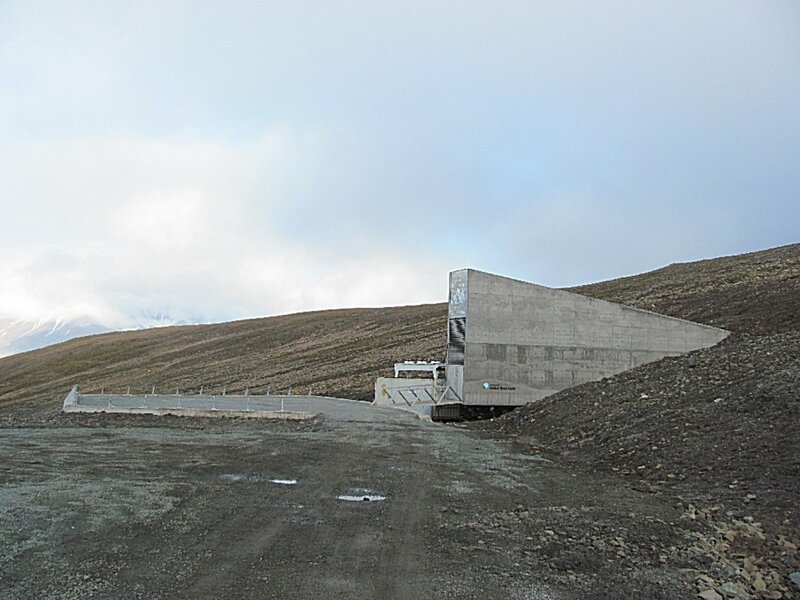 It will examine food reservoir architectures on diverse levels – from the domestic store cupboard to suburban logistics facilities and global seed banks such as the Svalbard Global Seed Vault in Norway, which “preserves crop diversity for the future”. This global grain, rice and soya reservoir is designed to ensure human survival in the age of climate catastrophes, a lack of resources and genetically modified foodstuffs in the context of an international agroindustry. Today’s storage facilities thereby share a hitherto largely overlooked connection with the Gropius-designed Master’s Houses in Dessau. In 1927 Walter Gropius published a picture book in the New Bauhaus Books series, entitled “Internationale Architektur” (International Architecture). The Master’s Houses in Dessau are featured, as are the Fiat automobile plant in Turin and the corn silos of North America. The author posits that the buildings are united by “precise formalism, simplicity in multiplicity, the alignment of all structural units to the functions of the buildings, streets and means of transport and confinement to typical basic forms”. This testified to a “new desire to base the design of the buildings in our environment on intrinsic principles, without falseness or whimsy”. 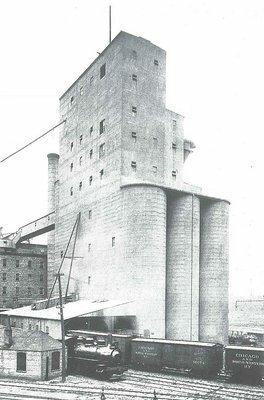 Not for the first time, the American corn silos are thereby used to support a visual argument for a new architecture: as early as 1913, Hermann Muthesius had expressed admiration for the majestic phenomenon of large-scale industrial buildings in the industrial fatherland. Taut, Le Corbusier, Mendelsohn and Gropius frequently refer back to the corn silos of Buffalo or Minneapolis as models for a functional architecture suited to modern industry. But beyond the immediate context of architectural history lies a further link between the Master’s Houses in Dessau and the corn silos in Buffalo: As prototypes for technology-led household management, the Master’s Houses share an indirect link with the storage infrastructures in North America. These stored flour and wheat, which was later consumed elsewhere. These monuments to industrialised agriculture, which with large-scale agricultural enterprises such as Kellogs formed an important cornerstone of the American economy and tied in with the international grain trade networks, are structural manifestations of one of the invisible prerequisites of modern life, which had gained independence from the food production cycles. Ultimately, “liberated living” had no place for store cupboards or warehouses. As showcases for housing for the future, the Master’s Houses were spatially and temporally disengaged from the production, storage and consumption of food. In this respect, the corn silos are more than just formal relatives; they are one of the hidden foundations of the business of running a modern household. In the Bauhaus Lab 2014, we aim to assess the contemporary relevance of this historic dialogue between corn silos and the Master’s Houses. Saving and storing are essential life practices, all the more so since natural catastrophes, climate change and resource shortages indicate that new reservoir models are absolutely essential. Those connections between domestic storage spaces and the global trade and transport routes, logistics and stock market movements, which form the backdrop for our food reservoirs, must therefore be exposed. The Bauhaus Lab 2014, a platform for collaborative learning, research and design, invites up-and-coming designers to develop scenarios, models, critical visualisations and commentaries that deal with present-day reservoirs in association with our everyday household management practices. The findings of the Bauhaus Lab will be presented in the “Haushaltsmesse 2015”. In this respect, the Bauhaus Lab resumes a dialogue concerning the architecture of reservoirs, which in the 1920s existed only in a picture book.